DUBAI, UNITED ARAB EMIRATES - Iran’s parliament voted to boost spending on its elite Revolutionary Guards force and missile program in response to new U.S. sanctions. 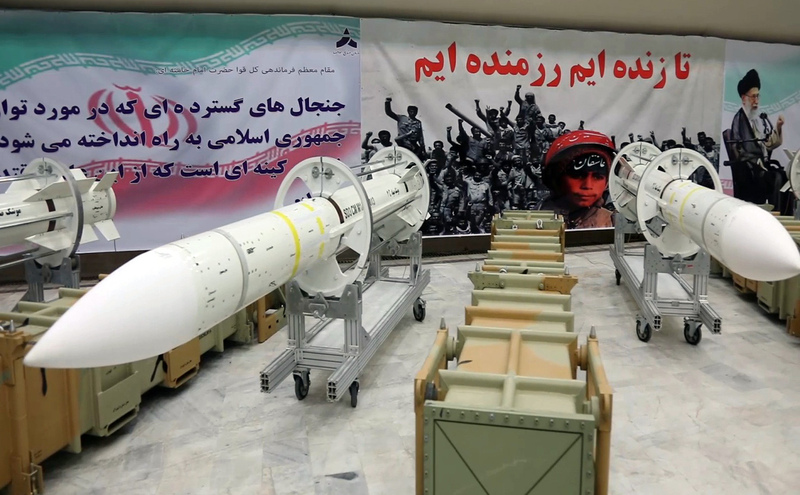 An additional 20 trillion rials ($609 million) will be evenly divided between the missile program, to improve the nation’s “deterrent capability,” and Guards’ Qods force, which is active throughout the region, according to the bill published by the Tasnim news agency. The bill cites “hostile” U.S. policies against Iran, and American “adventurism in the region aimed at creating divisions,” Tasnim reported. 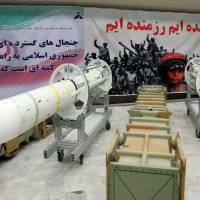 President Donald Trump has threatened to withdraw from a 2015 agreement between world powers and Iran that curbed the Islamic Republic’s nuclear program in exchange for sanctions relief, saying it is too advantageous to Tehran. Since the start of Trump’s term, the U.S. has applied new sanctions against Iran’s ballistic missile program and the Guards. Iranian President Hassan Rouhani, who oversaw the passing of the international agreement during then-President Barack Obama’s administration, spoke once more against actions that would undermine the deal. “Anyone who harms the accord harms himself and his country,” Rouhani was quoted as saying by the Iranian Students News Agency. If the U.S. seeks to act against the agreement “everyone will side with us and against the person who wants to weaken it” he said in reference to other signatories to the deal including Germany and France, which have expressed their support for its continuation. The bill, which had been considered in parliament for the past two months, constitutes a “first step,” Parliamentary Speaker Ali Larijani was quoted as saying by the official Islamic Republic News Agency. If the U.S. applies sanctions that violate the multiparty nuclear deal with Iran, the Iranian government will be bound to react, Larijani said. The bill needs to be approved by Iran’s Guardian Council, a body of Islamic law experts and jurists, in order to take effect.